Whether you’re sharpening your skills or are just beginning, this site was created with you in mind. We love this sport, and we can’t wait to share it with you. 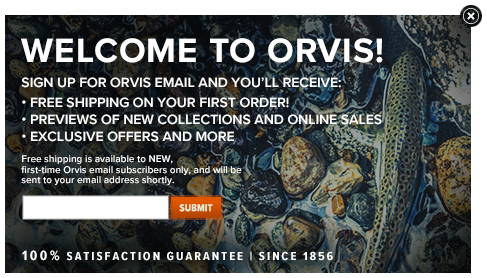 It’s the best way to track your progress, and you wouldn’t want to miss out on one of our regular drawings for Orvis tackle. Each chapter has a quiz at the end. You’ll learn more by taking the quizzes because we explain both right and wrong answers and you may pick up some valuable tips. Brush up on your knot tying with our animated knots. These are the very best instructions you will find anywhere, with both animation and video examples. After you’ve watched the videos, explore a topic in more detail in our hundreds of searchable podcasts, articles, and flash cards. Welcome to our Advanced Tactics series focused on the most technical aspects of fly fishing. Check back often for the latest video. If you’re a beginner, start with Chapter One. Otherwise, skip right to the topic that interest you most. Don’t forget to take the quiz after each chapter—good luck! 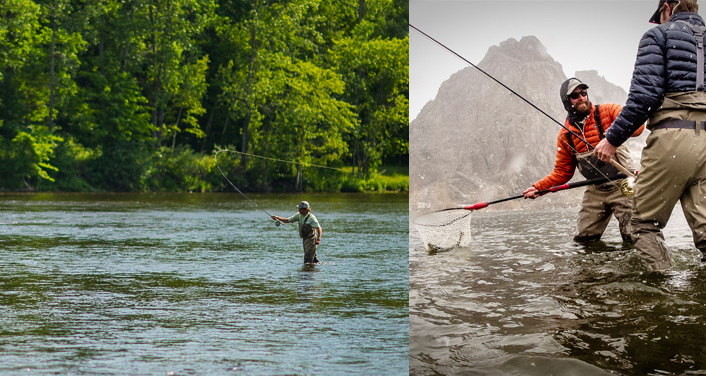 You might have heard that fly fishing is just for trout but nothing could be further from the truth. Learning how to fly fish for bass is a great introduction to the sport of fly fishing. Pike and muskies are the sharks of freshwater and are some of the biggest and most exciting fish to chase with a fly rod. Trout do most of their feeding underwater, and day in and day out you'll catch more trout on wet flies and nymphs. It's about as much fun as you can have on a trout stream because everything is visual. Streamers are bigger flies that you fish on an active retrieve, and these flies imitate baitfish, crayfish, leeches, and large aquatic insects like hellgrammites. Learn how to narrow down your choices by fishing in the most likely places. Trout in lakes and ponds require different techniques and skills. From striped bass in New England to bonefish in the tropics, inshore sight-fishing for saltwater fish is an addicting pastime. Nothing is more exotic than using a fly rod miles from shore, for fish like striped bass, bluefish, dorado, and even sailfish. If you just want to improve your casting using our lessons with Big Pete, here they are, organized in a logical progression. Fishing close to home is all about getting more time on the water and still enjoying a happy work and home life. Fly fishing seems like an intimidating pastime at first. It doesn't have to be. With a few basic skills, you will enjoy many fun and productive hours on the water. The most technical aspects of fly fishing. Check back often for the latest video.